Our very popular personalised plush bunny makes a wonderful gift idea thanks to her floppy ears and classic design. Her right ear can be embroidered with up to 10 letters and this bundle of cuteness is 31cm from head to toe, featuring extremely soft pale pink fur. 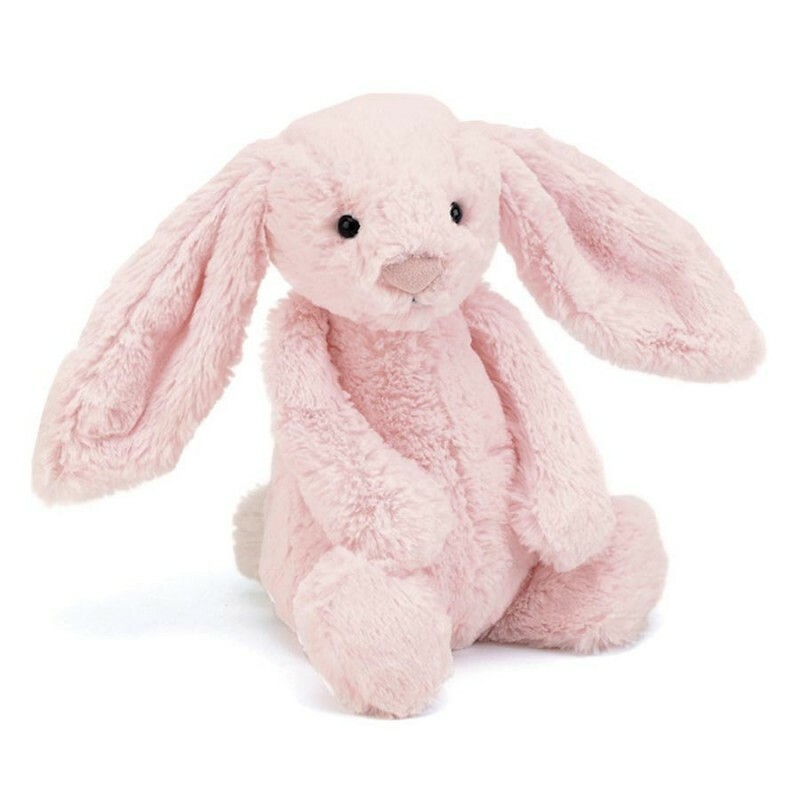 One of the most snuggly animals in our collection, she makes a beautiful comfort toy for newborns and also looks adorable as a feature on a bedroom shelf – that is, if she’s not too busy being cuddled by her new best friend! 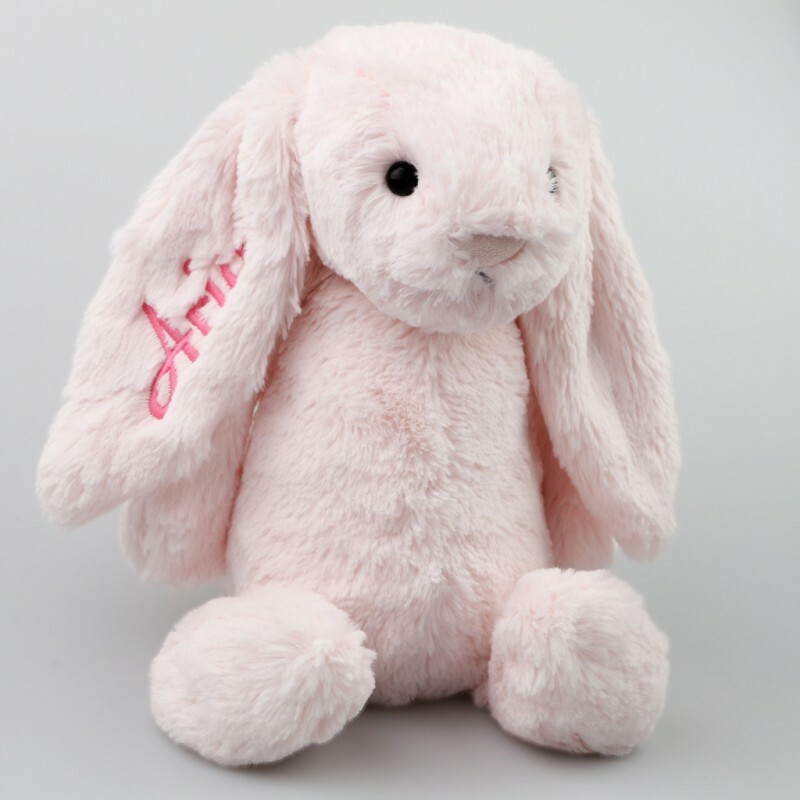 If you have any questions about our Personalised plush Bunny, don’t hesitate to get in touch.